It's that time of the year again: Spring is finally here, and that means that Easter is coming up. It's one of my favorite times of the year because my children and I always have a great time coloring eggs, enjoying creative Easter baskets, attending our local church, and just having fun with everything! Coloring the eggs can get a little messy, but it's worth it in the end when I can see my children have glowing smiles on their faces. As is the case with other holidays and special events, they're not always celebrated in the same fashion around the globe. Different cultures from around the world have always fascinated me, and it's something that I've read about quite a bit. In the past, we took a look at how games differ around the world, and here are some ways that Easter differs from place to place, in comparison to here in the United States. Italy: In Rome, the Easter tradition is very different than what we're used to. For example, on Good Friday, the pope conducts a Via Crucis ("Way of the Cross") ceremony at the Colosseum. On this day, a huge cross covered in burning torches lights up the sky, and the 14 Stations of the Cross are described in many different languages. This isn't just a one-day affair, either, as Mass takes place on Holy Saturday, followed by Easter Sunday, when thousands of people gather in St. Peter's Square to witness the pope's blessing. Sicily: The celebration of Easter in Sicily is perhaps the most unique in the entire world. It's an event that tourists especially love, which sees people carrying sculptures on their backs that date back as far as the 17th century. With these sculptures on their backs, they set out on a ten-hour journey through the city of Trapani. Norway: Much like with Sicily, Norway's celebration of Easter would certainly be considered to be very unique. Surprisingly enough, crime novels are synonymous with Easter in Norway. Around Easter each year, book publishers in Norway release what they call "paaskekrimmen," which are Easter thrillers. This tradition dates all the way back to 1923 and is, at least in my opinion, the most unique Easter tradition out there! Scotland: Who wants to roll some eggs? In Scotland, they don't just go to church and have a great dinner. Easter is an extremely fun event in Scotland, especially for the children. Not only do they boil and paint eggs in different designs like we do in the United States, but they roll them down park hills to symbolize the rolling away of the stone from Jesus' tomb. France: If you really enjoy a great omelet, then you might want to celebrate Easter in Haux, France, one year: On the Monday following Easter, a giant omelet is served in the town's main square. Consisting of more than 4,500 eggs, this massive omelet typically can feed about 1,000 people. The reasoning for this dates back a long time, back to Napoleon. He was traveling through a small town with his army and stopped to eat omelets. Apparently, as the story goes, Napoleon himself enjoyed his so much that ordered a giant omelet to be cooked up for his entire army the following day. With all of that said, who's hungry? It's certainly unique how countries apart from ours celebrate the tradition of Easter. 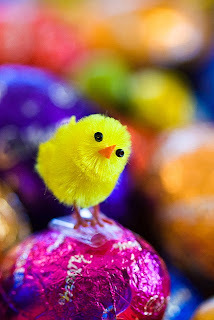 What are your upcoming plans for Easter this year?